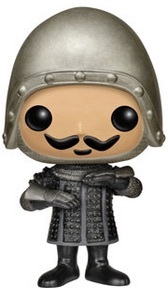 They may be the "knights who say ni," but even the most ardent collector would have trouble saying no to the 2015 Funko Pop Monty Python Vinyl Figures. 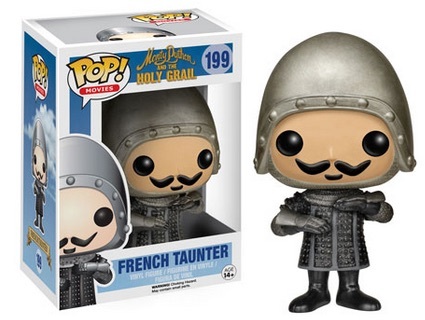 Paying homage to Monty Python and the Holy Grail, the amusing set features several instantly recognizable figures from the cult-classic comedy. Monty Python and the Holy Grail is a parody of sorts that covers the tale of King Arthur and his search for the Holy Grail. The British comedy was an immediate success and is still treated in high regard by audiences and critics alike. The film also was the inspiration behind the Broadway hit Spamalot. 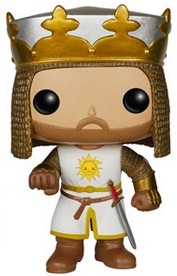 Funko Pop Monty Python includes a total of five figures, each with considerable detail. King Arthur and Sir Bedevere make an appearance along with the French Taunter and the Black Knight. Even Tim the Enchanter, complete with his horns, is included. 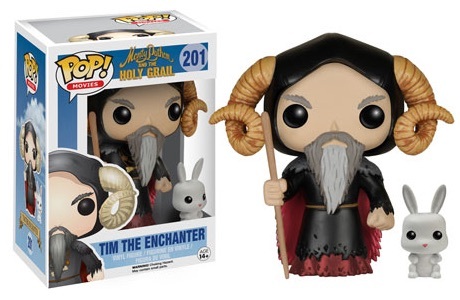 The figure for Tim the Enchanter comes with an accessory version of the Killer Rabbit of Caerbannong. Several figures also brandish swords. 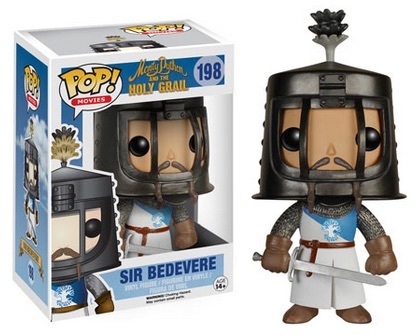 The 3 3/4" Funko Pop Monty Python figures are included as part of the Funko Pop! Movies line of releases. 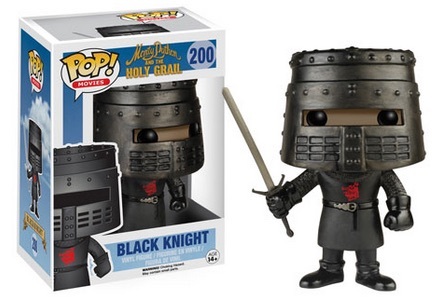 FUNKO POP MONTY PYTHON & THE HOLY GRAIL BLACK KNIGHT (FLESH WOUND) EE EXCLUSIVE! 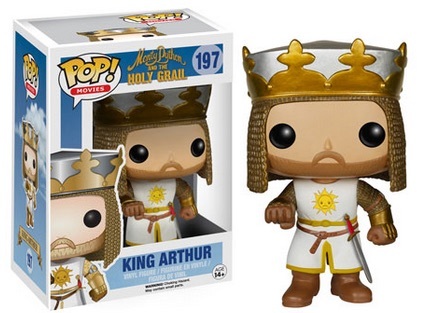 Monty Python Holy Grail - KING ARTHUR Vaulted Funko Pop Vinyl Figure RARE! !